Fix your face. | the active spirit. This is a factual statement. I was that kid in grade school who got unsatisfactory scores on my conduct reports because I was always talking to friends in class, and if the teacher moved my seat to the other side of the room, I’d still get in trouble for talking to friends in that part of the room. I had friends all over the place. The older I got, the more introverted I became, but I’ve always maintained that deep-rooted desire to socialize, no matter how much of my energy that requires. These days I keep a smaller circle of friends, and and instead of being in a different part of the classroom, they're in different parts of the country: Florida, California, Texas... I once even had a pen pal in Bolivia (remember the days of pen pals?). Friendships and smiles go hand in hand, and if you ask any of my friends, I'm sure they'd say I'm generally full of smiles. On the flip side, strangers and smiles can be hit or miss for most people. Such was the case for me until I moved to the South. Down here, people greet you when you walk into the any given establishment, and strangers frequently smile and say hello. After living here for a while, I, too, have become one of those random people who smile and say hello. It's no big deal for me to strike up a conversation with a random person in line at the grocery store. If we’re walking down the street, and our paths are crossing, and we catch each other’s gazes, chances are… I’m going to smile and greet you, even if it's just a head nod. HOWEVER, if I’m deep in thought about whats for dinner tonight, or fully enthralled in whatever song is playing through my headphones, or focusing on my destination, I’m liable to walk past like you don’t exist. It’s never anything personal, and I had never really considered it rude until random men on the street started telling me to smile. At first, I’d just go with it and keep walking. My train of thought would be broken by a random “smile” from a male stranger. And it was basically a command, right? The more it happened, the more it irritated me, naturally. Strange men I didn't even know were telling me to smile, and they thought that was okay. Why? Because I’m young? So I should be walking down the street smiling, without a care in the world? Because I’m a woman? So my uterus should always keep me grinning? Okay, sure! I’ll flash you some teeth and keep it moving, but deep down I'll wonder why you felt the need to say something about the fact that I’m walking past you with a straight face. How dare I? HOW DARE I! There wasn’t much I could do about it, though. 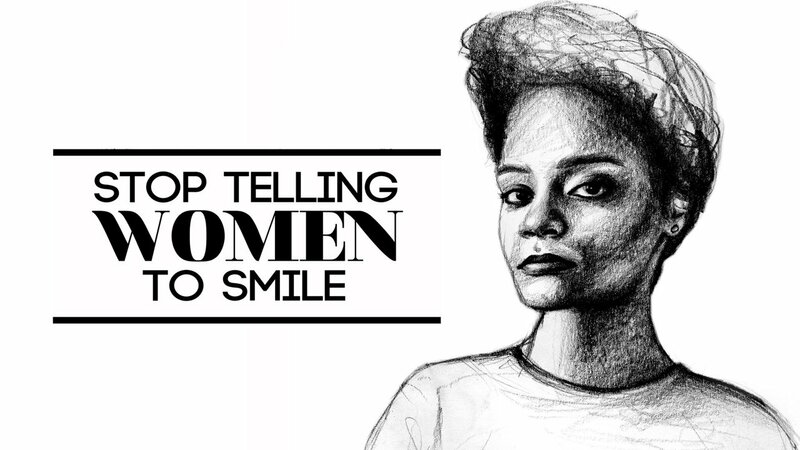 It's wasn't like I could issue a public service announcement saying “stop telling women to smile”? That option never even crossed my mind, but then one day... someone did it for me and for all other women who have this shared experience - apparently there are quite a few! 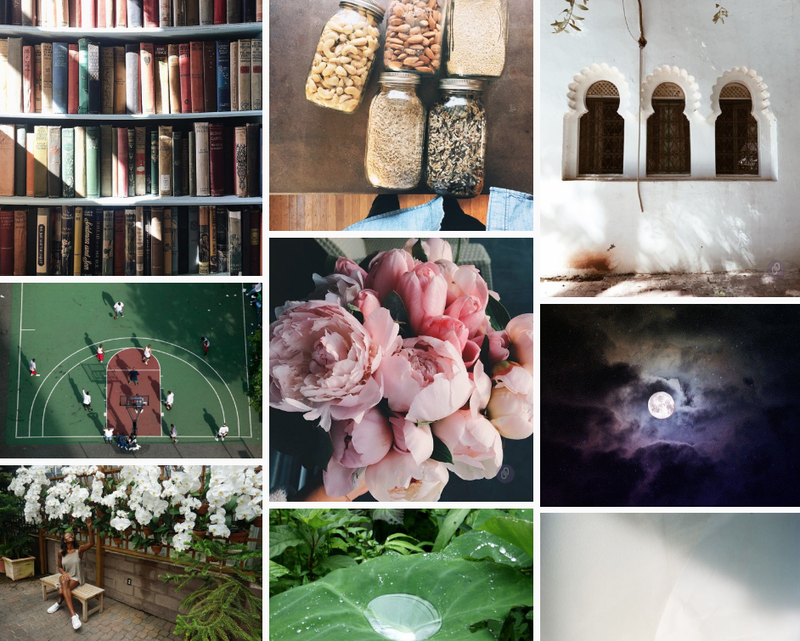 There’s a whole movement, and there’s a whole art project devoted to said movement. I know this is nothing new. It made waves in the media a while back. I suppose I'm finally ready to give my two cents on the subject. When I first read an article about it, I thought to myself “is this what I think it is?” It was! Thank, God. Somebody understands! Lots of women understand! It was empowering. No longer would I comply to random smile demands. Awhile after, I was in line at the car wash, waiting for the okay to put my car in neutral and ride through. The (male) attendant directed me forward and pointed to his mouth, motioning me to smile: I kept a straight face. I wasn't in a bad mood. I wasn't having a bad day. I wasn't angry with him. I just had no particular reason to smile at that moment, and so I didn't. Nope. It's happened plenty of times since then, and I've gotten in the habit of just ignoring it, which essentially means ignoring the man behind the sentiment. I'm sure it seems rude, but since I know my personal character is not rooted in rudeness, I care less and less about how I seem to them. I have lots of happy thoughts bouncing around in my head all throughout the day, but if my face was always a reflection of those thoughts, my cheeks would get tired! Sometimes I’ll stop and ask these men why they’re asking/telling me to smile or if they also say that to random men, and they're usually stumped for an answer. No smiles were harmed in the making of this post. GIRLLLLL. My friends and I talk about this at almost every Sunday Brunches. I've visited a few places in the east and I can almost say, the smile demand thing is a southern thing. It's annoying as hell. I didn't know there was a movement about this, but I'm oh so very proud that there is one. Quick fixes don't build character. Here's to keeping it simple (sometimes).